Two new drugs that will fight kidney cancer have just caught the attention of scientists. 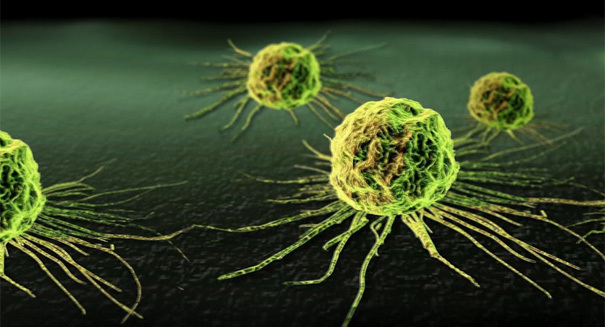 A new cancer drug has shown enormous promise in a recent trial. The immunotherapy drug Opdivo, produced by Bristol-Myers Squibb, has shown kidney cancer survival rates that are two years longer than the average in a late-stage trial, which means it could be used beyond melanoma and lung cancer, according to a Reuters report. The company announced back in July that it was ending the study early because the drug was clearly more effective than Afinitor from Novartis, which is the established produced on the market. However, it had not laid out the detailed results until it showed them to the European Cancer Congress in Vienna, Austria, this weekend. It’s a huge result that means Opdivo would be the first immune checkpoint inhibitor drug that would allow patients with renal cell carcinoma, which is a fairly common kind of kidney cancer, to live longer lives. Opdivo is already being used for treatment of other cancers, especially lung cancer and melanoma, but because RCC has a prevalence that is twice that of melanoma, the manufacturers decided to take a look at adapting it to fight kidney cancer due to the potential for greater profits for the drug. Opdivo targets certian molecules that have to do with how the immune system attacks tumors, which is why it shows such promise. Patients who took Opdivo had a medial survival of 25 months compared to 19.6 months for patients who took Afinitor, accoridng to Padmanee Sharma of the U.S. MD Anderson Cancer Center, who was one of the lead researchers for the study and was quoted in the report. The study also found that a surprisingly large amount of patients saw their tumors shrink when they took Opdivo compared to the one produced by Novartis — 25 percent compared to 5 percent for Afinitor. Because of these significant results, Sharma said it’s likely to result in patients getting a change in treatment if they have advanced kidney cancer. Bristol is investigating the possibility of filing Opdivo for approval in kidney cancer treatments “quickly,” although the company hasn’t yet identified a date that it would submit the drug to regulators, according to the report. On the financial side, this could be big news for Bristol Myers-Squibb, with Reuters quoting analysts at Morgan Stanley as saying that the drug could be approved by early 2016, and it could be endorsed for off-label use to treat kidney cancer by the U.S. National Comprehensive Cancer Network by the end of this year. Also, Bristol is investigating whether combining Opdivo and another drug, Yervoy, would make an effective first-line treatment against kidney cancer. Kidney cancer, as the name implies, is a type of cancer that originates in the kidneys, which are bean-shaped organs that are about the size of a human fist located in the abdominal organs, with a kidney located on either side of your body. Renal cell carcinoma is the most common type of kidney cancer. Less common forms include Wilms’ tumor, which can infect younger children. Kidney cancer has been growing in prevalence, which may be due to better imaging techniques and therefore more detection rather than an increase in the disease. Symptoms of kidney cancer include blood int he urine, pain below the ribs that is chronic, weight loss, persistent fatigue, and an intermittent fever. In its early stages, you won’t see many signs for kidney cancer, so early detection is difficult. The symptoms described above tend to happen in later stage of the disease. Because of the prevalence of kidney cancer, it’s attracted the funding dollars of pharmaceutical giants like Bristol Myers-Squibb. BMS is an American pharmaceutical company that is headquarter in New York City. The company focuses on cancer, HIV/AIDS, cardiovascular disease, diabetes, hepatitis, and various psychiatric disorders, meaning it is on the front lines of some of the most common causes of premature death. The company was founded back in 1858 by Edward Robinson Squibb in Brooklyn, and was a key part of the fledgling pharmaceutical industry. The Squibb Corporation merged with Bristol-Myers in 1989, forming today’s Bristol Myers Squibb company, as it is known today. The company was awarded the National Medal of Technology by President Bill Clinton in 1999.